We are so proud to hear that our customers are fully satisfied by our services. 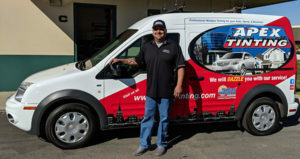 After all, this is our purpose; we focus on delivering the best car windshield repair service in California, and in Los Alamos. We promise to keep the highest quality service level in Los Alamos, so you can benefit from a quick and inexpensive windshield fix or replacement for your auto. That crack isn’t so big; it can be fixed! We often deal with customers who are already settled with the idea that they now have to pay quite a few dollars in order to replace their windshield, when in fact it can be repaired by our professionals. If the chip isn’t in the line of sight of the driver, and is just the size of a quarter or smaller, our Technicians are able to fix it, so you won’t have to replace the entire windshield. Is your windshield or lateral window cracked beyond the point where it can be repaired? Don’t worry about it; we will be there to help you get another windshield and replace the cracked one for you. Call us and we will set an appointment in Los Alamos to replace your defective windshield. Concerned that your windshield mounted camera won’t function properly? A cracked windshield requires fast action, but not everyone has the time required to take care of it. Our company will set an appointment with you anytime you can; we can even come by at your office and fix the windshield during your lunch break, in as little as 15 minutes! 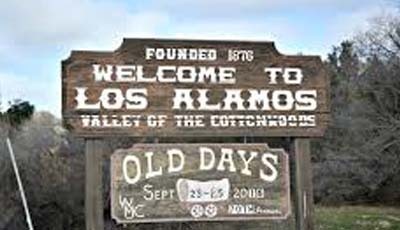 We will travel anywhere in Los Alamos to fix, or when needed, replace your cracked car window. Don’t be fooled by the idea that the crack is very small and you will be able to drive forever like that. While you drive, vibrations will cause the crack to expand, finally getting to a crack big enough to require a full windshield replacement, which is way more expensive than a simple fix that can be done fast. Act quickly and save money. Don’t know if your windshield can be fixed or requires replacement? We will let you know by doing a completely FREE window assessment. Bookmark this page for quick Windshield Repair and Replacement in Los Alamos, 93440.